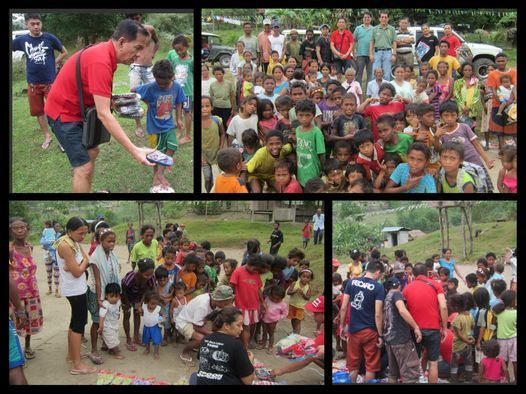 Capaz, Tarlac - Distributing all the tsinelas, clothes, and other goodies to the indigenous Aetas. 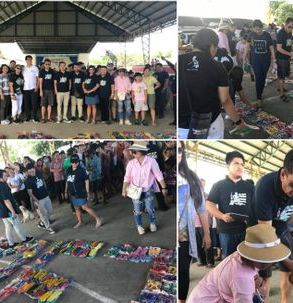 550 pairs of slippers to be given the victims of Typhoon Yolanda in the Visayas. 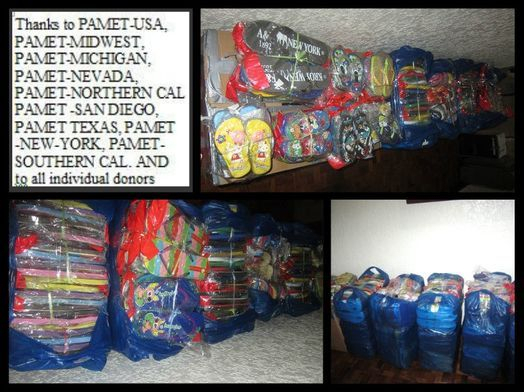 To my PAMET USA family and friends, my heartfelt thanks to your kind donations. 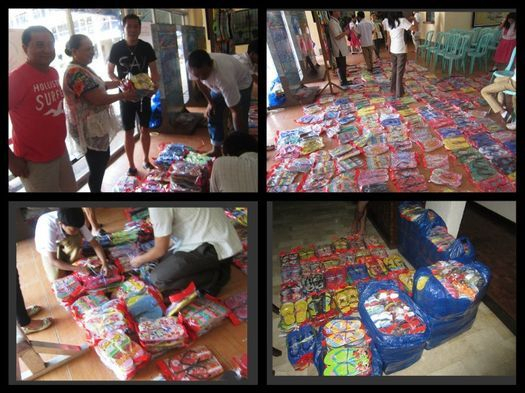 We will still continue to distribute to the target areas in Luzon by next month at least to bring Holiday cheers to the very poor children. Please continue to support us. Anybody or any organization that is willing to donate, please contact me through this medium. The devastation to the 10 major islands in the Visayas is beyond belief. Please continue to pray for our beloved country and to the people that were severely affected by these catastrophic storm and earthquake. 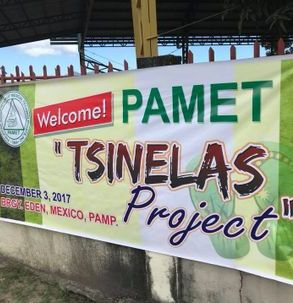 PAMET friends---Thanks for your donation. This 2nd batch of tsinelas was donated to San Juan City HS on Nov 27, 2013. We will continue to donate during the Holidays. Southern Cal through their president Nestor Tuazon will help during our next distribution.